When visiting Cal Poly San Luis Obispo, you will quickly understand why everyone raves about this small town and why this is the perfect location for a parents getaway. Ranked #1 in the Top 50 Best College Towns by College Rank and one of the 10 Best Small College Towns in America by USA Today, San Luis Obispo is nationally known as a friendly, small town with endless activities to enjoy. With plenty of things to do both on and off campus, the Central Coast is the perfect destination for a family vacation. If you have an incoming Cal Poly student or a student who is thinking about applying, you won’t want to miss these important events listed below when joining the Mustang Family and experiencing your Cal Poly parents getaway. The Cal Poly SLO Annual Open House is a three-day event in April that showcases the campus to admitted and prospective students, families, alumni and the San Luis Obispo community. Student Life Orientation Days, otherwise known as “SLO Days,” is for all incoming students, families and supporters, taking place the summer before enrollment. With different sessions for freshman, transfers and international students, this is a great way to prepare you and your student for becoming a member of the Mustang family. The Week of Welcome, commonly known as “WOW,” is an exhilarating week-long orientation held before classes begin in September. Your student will meet lots of new people, experience life at Cal Poly San Luis Obispo, and participate in group activities both on and off campus. Mustang Family Weekend, happening in October, welcomes Cal Poly students, families, supporters and alumni to celebrate Mustang traditions, attend Learn by Doing labs and engaging lectures by faculty, and enjoy a weekend full of fun-filled events on campus. Fall Commencement, happening at the end of the fall quarter, is hosted on December 14, 2019, with three separate ceremonies happening throughout the day. The Spring Commencement is hosted at the end of spring quarter, June 15th– 16th. While on your Cal Poly parents getaway, check out the hidden gems that lie right on California Polytechnic State University’s campus. The Leaning Pine Arboretum is a unique find, tucked in the north end of campus. Perfect for a picnic or for studying, this five-acre landscape boasts beautiful lawns and unique gardens. Right across from the arboretum is the Equine Center, primarily used by the Animal Science Department. 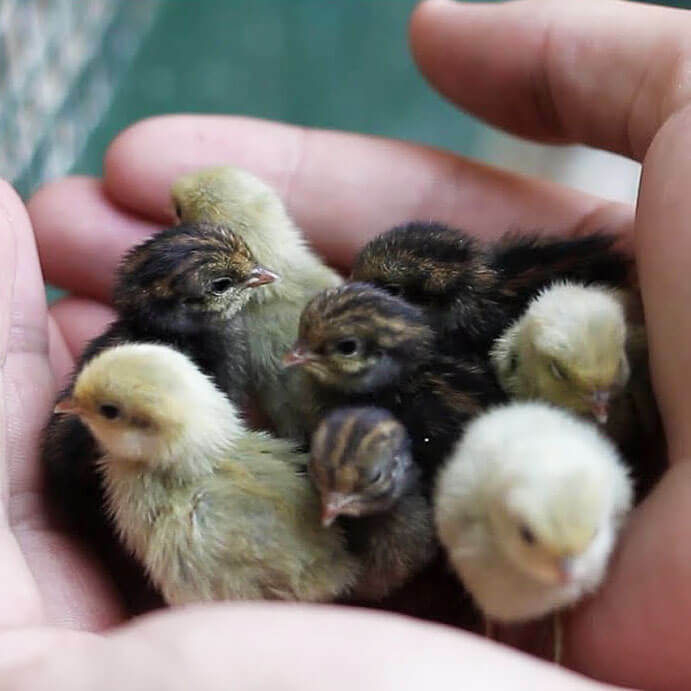 It is home to a breeding lab, a 40-stall barn, two sand arenas, and the students’ happy horses. Keep your eye out for the Rodeo Team events including the Poly Royal Rodeo that takes place in April. Circling back into the heart of campus, explore the state-of-the-art Recreation Center. Completely renovated in 2012, the stunning complex offers everything from leisure activities, outdoor rental equipment, and personal training. Just across the street in the Graphic Arts building, lies the Shakespeare Press Museum, home to one of the two working printing museums west of the Rocky Mountains. The museum began as a private collection of Mr. Charles L. Palmer, known as “Shakespeare” to his friends, featuring typefaces, printing presses and equipment used by printers of the American West during the late 1800s. For some outdoor adventuring on campus, your family can hike to Architecture Graveyard or the iconic “P.” Explore the Architecture Graveyard, located in the hills behind Poly Canyon Village, to see the intriguing designs and projects of past and current Architecture students. Continually decorated to spread messages campus wide, the “P” hike takes 20 minutes to reach the top for a gorgeous view of the city’s skyline and a great family photo op. The trail head entrance is located behind the “red-brick” dorms’ parking lot. Finally, check out Cal Poly SLO Athletics’ upcoming events and experience the action of a Mustang soccer game at Alex G. Spanos Stadium, a thrilling volleyball match at Mott Gym, or a baseball game at Baggett Stadium, widely considered one of America’s finest collegiate baseball complexes. 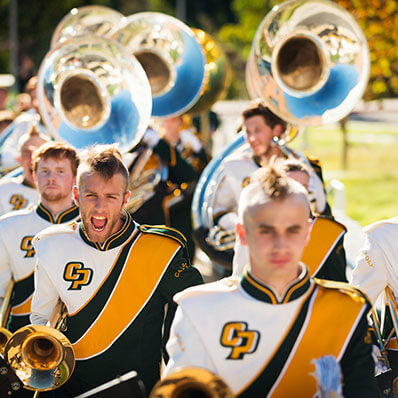 Be sure to wear your green and gold attire and prepare to cheer for your Cal Poly Mustangs! Now that you have explored the Cal Poly SLO campus, it’s time to check out some of the most popular sites in the city. Your visit to Cal Poly will not be complete if you don’t eat at the local favorite, Firestone Grill. Known for its tri-tip sandwich and addictive fries, this is a great place to relax after a busy day, catch a sports game, or just indulge in good eats. 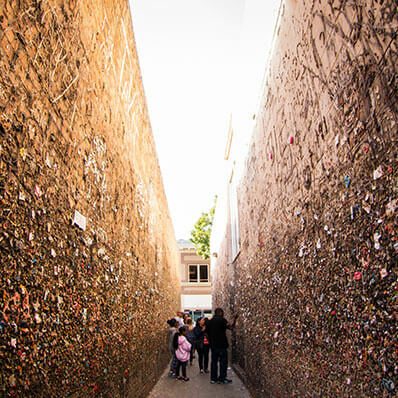 Also located downtown off Higuera Street is the strangely captivating Bubblegum Alley. It is believed to have started as early as 1960 as an unofficial graduating student ceremony or school rivalry. If you’re brave, grab a gumball at the local SLO Sweets and make your mark on San Luis Obispo. 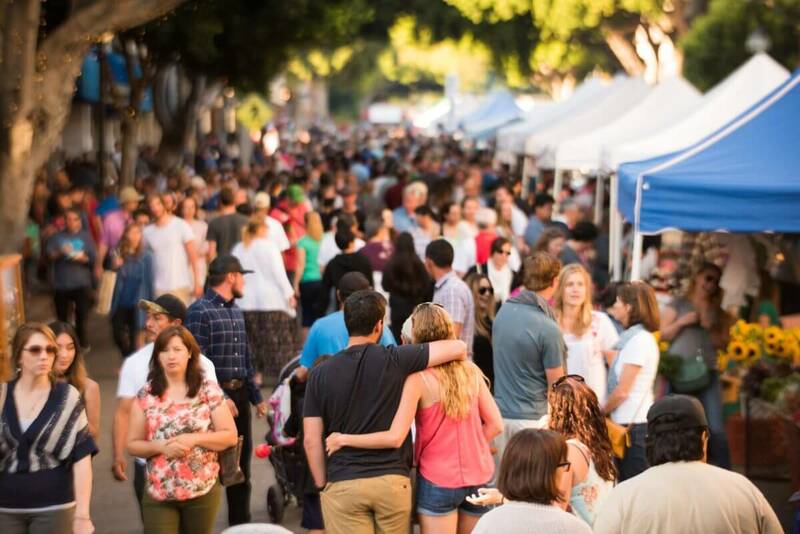 If you find yourself in San Luis Obispo on a Thursday, you won’t want to miss the weekly Downtown San Luis Obispo Farmers’ Market, starting at 6:00 p.m. With live music, kid friendly activities, fresh produce, shopping and lots of local food vendors, this is truly the perfect family experience. Delve into the surroundings of San Luis Obispo by treating yourself to the picturesque beaches like Avila and Shell Beach, wine and beer taste at local establishments within 15 minutes of campus, indulge in SLO’s foodie culture with organic farm-to-table restaurants throughout downtown, or explore SLO’s unique boutiques and galleries. 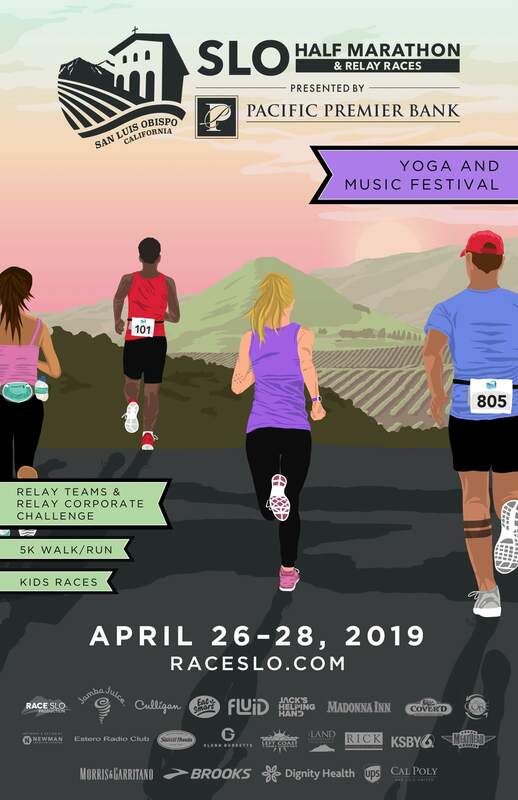 Don’t forget it’s important for you and your family to experience all the San Luis Obispo style fun that your student raves about!